Mr. Cassard is retired. He is the former Chairman of Waters Corporation, a commercial real estate investment and management company. He served as President and Treasurer of Waters Corporation for over 20 years and became Chairman in 2005. Before joining Waters Corporation, he worked for an international firm of Certified Public Accountants. He is a graduate of the University of Michigan (BBA) and Michigan State University (MBA), and he is a Certified Public Accountant and Certified Property Manager. He previously served as a member of the Board of Directors of First Michigan Bank-Grand Rapids and was a member of the Boards of Directors of First Michigan Bank Corporation and Butterworth Hospital. He holds membership in the American Institute of CPAs, the Michigan Association of CPAs and the Institute of Real Estate Management. Mr. Grant joined Mercantile’s Board of Directors in June of 2014, following our merger with Firstbank. Mr. Grant served as a director of Firstbank (Mt. Pleasant) from 1988 through the date of the merger and of Firstbank Corporation from 1990 through the date of the merger. He served as Chairman of the Board of Firstbank (Mt. Pleasant) from 1989 through the date of the merger. Mr. Grant retired in August 2015 after having served in various faculty and administrative positions at Central Michigan University (“CMU”), most recently completing 16 years as General Manager of CMU Public Broadcasting. Mr. Grant is a Certified Public Accountant, and holds a Ph.D. in accounting from Michigan State University. Mr. Clark served as a member of the Mercantile Board of Directors from 1998 until June of 2014 when he resigned as a member of the Mercantile Board in connection with the merger with Firstbank Corporation, but remained a member of the Bank Board. Mr. Clark is the Chairman and Chief Executive Officer of The American Seating Company (“American Seating”), and has held this position since 1986. American Seating is headquartered in Grand Rapids, Michigan, and produces seating and furniture for offices, as well as seating for buses, rail cars, auditoriums, stadiums and performing arts centers. He is a graduate of Ohio State University (BSc) and the University of Pennsylvania (MBA). Mr. Clark is a member of the Board of Trustees of the Grand Valley State University Foundation. He is Chairman of the Membership Committee of the Grand Valley State University Foundation, and on the Advisory Board of the Seidman School of Business. From 1988 through 1997, he was a member of the Board of Directors and Executive Committee of First Michigan Bank-Grand Rapids. Mr. Clark has also previously served on the Boards of Directors of the Metropolitan YMCA, the Grand Rapids Symphony Orchestra, Red Cross of Kent County, The Blodgett/Butterworth Foundation, St. Mary’s Hospital, The Business and Institutional Furniture Manufacturer’s Association, the Ohio State University Alumni Association, and the Grand Rapids Employers’ Association. 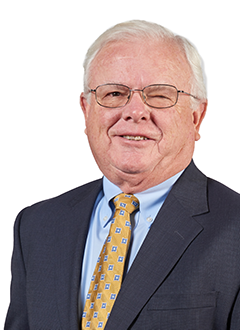 Mr. Gardner joined Mercantile’s Board of Directors in June of 2014, following our merger with Firstbank. 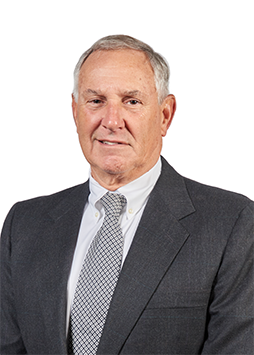 Mr. Gardner served as a director and vice-chairman of Keystone Community Bank from 1997 through the date of the merger and a director of Firstbank Corporation from October 2005 through the date of the merger. Mr. Gardner is President of Gardner Group, which he formed in 1980. Gardner Group provides real estate services throughout southwestern Michigan, including development, construction, management, brokerage and maintenance. Mr. Gardner is a principal in numerous real estate developments, construction projects, and a consulting company. Mr. Gardner holds the designation of Certified Property Manager. Ms. Eldridge is a Principal of Clear Ridge Wealth Management (“Clear Ridge”) in Kalamazoo, Michigan, which she co-founded in 2014. Clear Ridge provides integrated wealth management to high net worth families and customized investment management to institutional organizations. Prior to founding Clear Ridge, Ms. Eldridge was a Principal of LVM Capital for 16 years. Ms. Eldridge serves as a trustee of the Kalamazoo Valley Community College Foundation, is part of the Leadership Council of the Small Business Association of Michigan, is Treasurer of Prince of Peace Lutheran Church, and is a member of the Kalamazoo Civic Theatre Endowment Fund Committee. 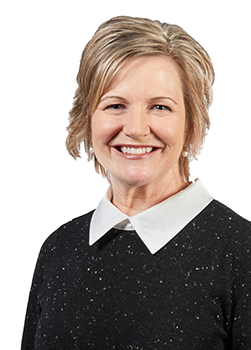 She is a Chartered Financial Analyst, Certified Private Wealth Advisor®, and a graduate of Western Michigan University.